Eat lasagna for dinner and put away left-overs. Realize that tomorrow you will be in the house alone with leftovers. At 10:30 pm remember that you have a pint of your favorite ice cream in the freezer, and eat it quickly so it won’t tempt you tomorrow. 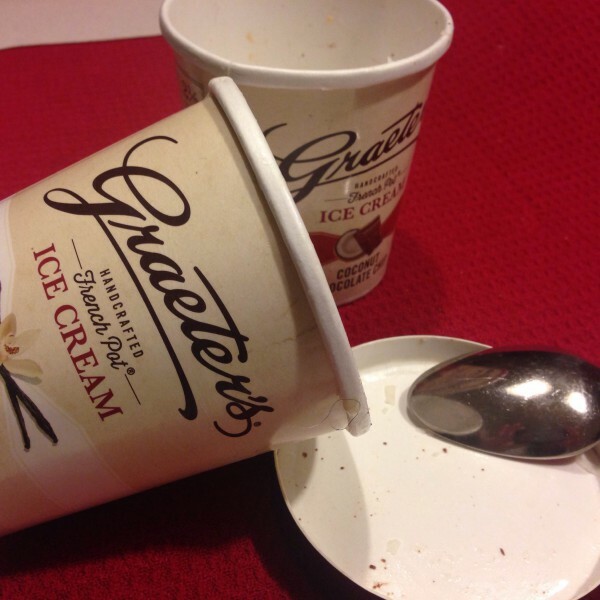 Get nauseated by eating ice cream too fast, put the last 1/4 of the pint in the freezer. Consider wrapping up leftovers and taking them to the neighbors to ask them to guard them from you while you do your cleanse. Too embarrassed to reveal your weakness to the neighbors, devise a plan for the morning to take all food that might be tempting and wrap it in plastic bags, tying it tight, and putting it in the freezer. Consider taking the two partial pints of ice cream and freezing them in a block of ice so they will be that much more difficult to access. Realize the block of ice plan is ridiculous, so back to plan A of wrapping and freezing food items. Set reminders for tomorrow morning to weigh yourself and take a ‘before’ pic of your face so you can see how much less blotchy and bloated you look after the miraculous 10 day cleanse. Decide to spend tomorrow eating all of the food in the house that could be tempting, and then start smoothie cleanse the day after tomorrow. Wake up early and lay in bed for one hour, pondering your existence. 0730: Decide that all groceries are here, and if you don’t start today it will be that much harder another day. Decide to go downstairs and put all tempting food into freezer when you make your smoothie. 0745: Step on scale. Go to the bathroom. Step on scale again. Wash face, then step on scale again. Take average of three weights (which are all within ounces of each other). Take mirror selfie as ‘before’ picture, resisting temptation to put on any makeup. Go to the kitchen and gather all ingredients. Arrange them just-so and take picture for Instagram. Blend ingredients per instructions for day one. Take more pics as you go. Fill 3 liter pitcher with water for the day. 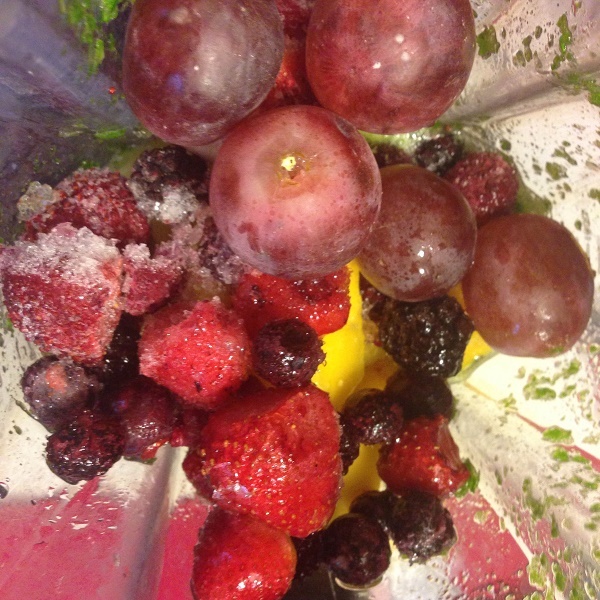 Pour smoothie into glass. Slowly drink. It tastes good. Feel very proud of yourself. You can do this. Don’t worry about putting the food in the freezer, you can do it later. Feel a caffeine headache coming on. Take Excedrin migraine to wean yourself off the caffeine and hopefully avoid the headache. (It contains caffeine but you can avoid the habit of drinking coffee). Boil eggs for snacks, almost burn them (yes, you can burn hard-boiled eggs if you really try). Set out other items for allowed snacks – fruit, unsalted nuts, unsweetened peanut butter. Spend morning drinking lots of water and having an occasional snack. Cut the small brown spots off the egg whites to avoid the charred taste. Record all calories on Fitbit app. Spend much of the morning peeing because of all of the water you’re drinking. Wake up and realize you are hungry. That lasagna in the fridge sure sounds good. Imagine how the lasagna will taste in your mouth. Think about putting food in the freezer, but instead decide to just eat it and then it won’t tempt you anymore. Eat the rest of the lasagna. Remember that there are two partial pints of ice cream in the freezer. You might as well get rid of them, too. Justify eating it all now because you’ve heard it’s not good to overeat close to bedtime. Think about how delicious the lasagna and ice cream were. Start to feel bad that you actually ate them, every bite. Sit and wonder what to do next. Consider just starting Day 1 again tomorrow. Feel another headache starting, take another Excedrin. Decide that since there is still 2/3 of a pitcher of green smoothie in the refrigerator, and the tempting food is out of the house, you can just start over RIGHT NOW. Decide not to record all calories eaten today, because the is just too depressing. For the rest of the night, drink the remainder of the green smoothie and drink the rest of the water early so you won’t be peeing all night. Tell your husband about your day of eating, just to keep it real. Be thankful that he loves and supports you no matter what. 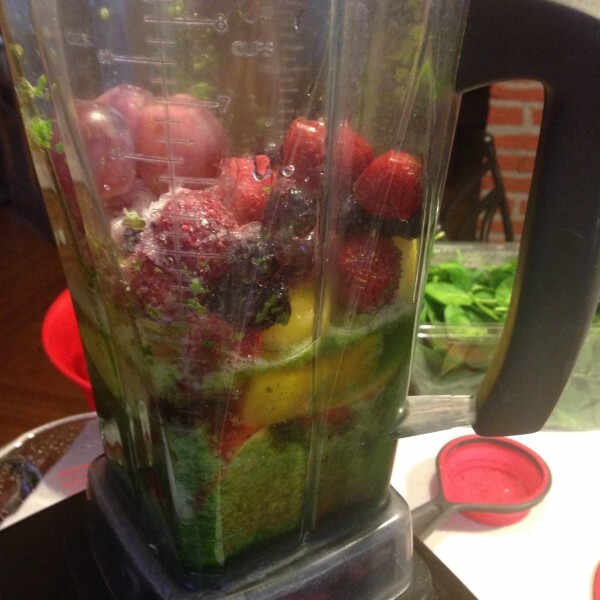 Write about your shaky start to the 10 Day Green Smoothie Cleanse. Write to let others know that you don’t have to be perfect, and to keep yourself accountable for tomorrow, which is a new day.